The PhD degree in geography requires a minimum of 48 hours of coursework beyond the baccalaureate degree (that may include up to 24 credit hours of approved graduate-level coursework transferred from a master’s program and a maximum of 12 hours of non-thesis or non-dissertation research), 24 hours of dissertation research, and a dissertation. The program includes 14 hours of required coursework (GY500, GY523, and two geospatial techniques courses). The MS degree in geography requires a minimum of 30 semester hours of graduate coursework and successful defense of a thesis. The 30 hours of required coursework for the MS include 6 hours of program requirements (GY500 and GY523), 6 hours of thesis research, and 12 hours in a concentration of the student’s choosing. Each student should work closely with the thesis advisor to create a curriculum of study tailored to his or her academic and career goals. For MS students, a minimum of 12 credit hours must be taken from courses in one of the four concentration areas; these courses are listed on our graduate coursework page. The remaining 6 credit hours required of MS students may consist of courses from the other concentration areas or be selected from related courses offered in other departments with advisor approval. This area of concentration is focused on atmospheric, hydrological, ecological, and earth surface processes and the synthesis of these fields to improve our understanding of earth as an integrated system. Learn more about earth system science at UA. This concentration is focused on understanding earth and environmental processes and the methods by which resources may be sustained. Students learn to conserve, protect, and utilize natural resources while maintaining the integrity of natural systems. 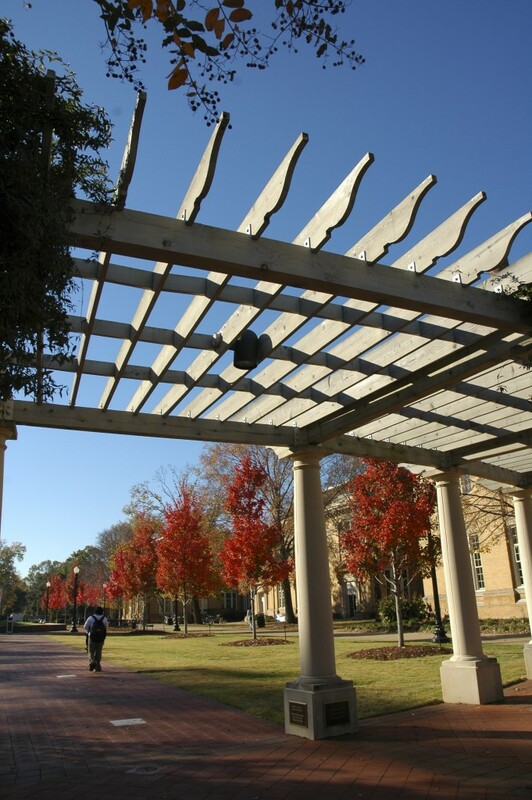 Learn more about environment and natural resources at UA. This area of concentration addresses the need for training in urban, regional and environmental analysis and planning; location theory; and environmental impact assessment. Students are exposed to current environmental issues and policies. Learn more about environment and society at UA. This area of concentration includes spatial modeling, remote sensing, geographic information science (GIS), and computer cartography. Learn more about GIS at UA. A non-thesis track MS degree is available, but it may be pursued only with advisor consent and should not be pursued under most circumstances. The overwhelming majority of MS students in the program complete a thesis. Please see the Graduate Catalog for additional information about degree requirements and courses.